Wasco State Prison-Reception Center (WSP) is a 634-acre (257 ha) state prison located in Wasco, Kern County, California. The Wasco facility was the first of two reception centers in Kern County. The primary mission is to provide short term housing necessary to process, classify, and evaluate new inmates physically and mentally, to determine their security level, program requirements, and appropriate institutional placement. A 400-bed medium custody facility houses general population inmates to help support and maintain the reception center. A minimum custody facility provides institutional maintenance and landscaping services. 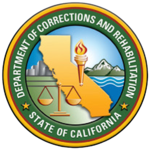 ^ CDCR. "CDCR - Wasco State Prison (WSP)". www.cdcr.ca.gov. Retrieved 2018-05-05. ^ "Wasco State Prison official webpage". Archive.org. Archived from the original on March 2, 2009. Retrieved 2 March 2009. This page was last edited on 20 October 2018, at 21:24 (UTC).